Gruaud-Larose lies between Branaire-Ducru to the east and Lagrange to the west.The soil in the extensive 85 hectare vineyard consists of medium-sized gravel. 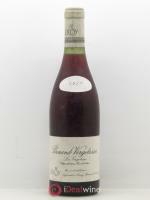 In the 18th century the property was owned by the Gruaud brothers and was slightly larger with 115 hectares. 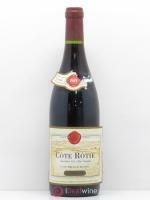 One of the brother's son-in-law, Monsieur de Larose, took over the property and worked tirelessly to promote the wine, which eventually came to be served at the royal table, giving rise to the famous inscription that still appears on the label, le roi des vins, le vin des rois (“the king of wines, the wine of kings). This description is well-deserved, Gruaud-Larose being recognized for many years as Saint Julien's most massive wine, and as taking the longest to evolve. However, the property has seen its fair share of ups and downs. After numerous changes of owner during the 19th century, the château suffered the costs of a turbulent inheritance, as a result of which the vineyard was split in 1867. 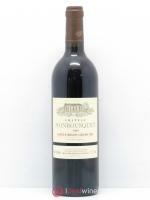 One of the owners was Baron Sarget, after whom the château's current second wine, Sarget de Gruaud Larose is named. The property was purchased by the Cordier group in 1917, who managed, in 1934, to reinstate the two plots that had previously belonged to the vineyard. Gruaud Larose was sold to Alactel Alstom in 1993 and then to the Merlaut family in 1997. The wines of Gruaud Larose are amongst the best in Saint-Julien and the property began in 2017 a conversion to biodynamics.